"..The world economy is now seeing an upward momentum, with global trade and investment starting to pick up and ... APT countries have respective strengths in labor, resources, technology, capital, market and industrial capacity. 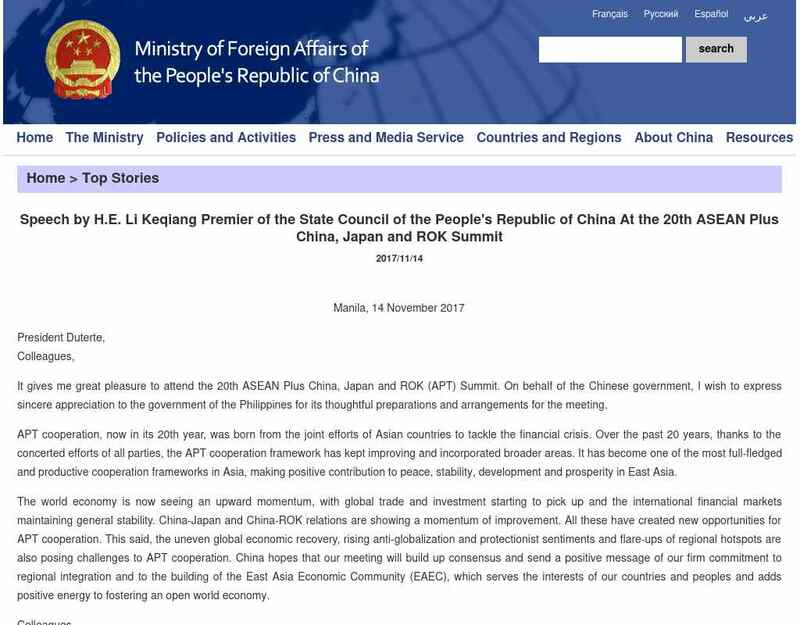 There is a great potential ..."
"..On behalf of the Chinese government, I wish to express sincere appreciation to the government of the Philippines for its thoughtful ... smart economy, green economy and sharing economy and in building industrial, value and innovation chains that we can ..."